In 1980, a successful entrepreneur named Jay Wallace invested in the emerging technology of Infrared Thermography and launched a new company, Wallace Thermographics. Jay leveraged his technical and analytical skills and quickly established his business providing valuable predictive services throughout the state of Virginia. Jay partnered with a young electrical engineer, Wayne Vick, in 1994. Wayne’s background in plant engineering and industrial maintenance helped the company expand services into the industrial sectors. 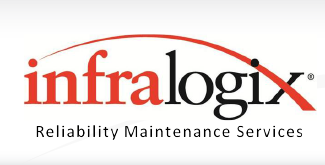 After Jay’s retirement, Wayne acquired the business and rebranded the company as Infralogix. Infralogix has experienced sustained growth ever since. To address evolving market needs, the company has added a talented staff of reliability and maintenance professionals, developed other predictive maintenance services and built a valuable reliability consulting practice. Today the company provides a broad spectrum of reliability maintenance services to an impressive list of long-time and new customers representing diverse market sectors. Our success is a result of our dedication to understanding the needs for each of our customers – whether in manufacturing, commercial, data centers, finance or healthcare facilities – and delivering quality results.